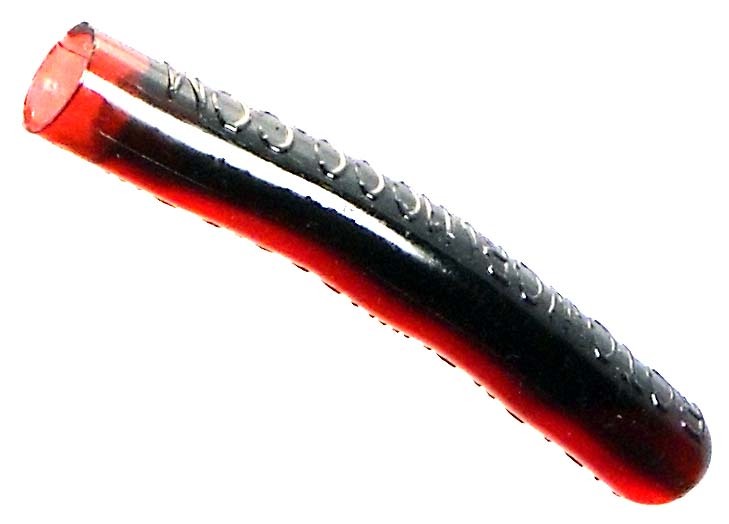 10-pack of RotoTail soft plastic worm heads in Red Shad. Opaque red on one side and black on the other side. One of the most popular colors in tournament worms. Especially effective in saltwater because it looks like blood.